At the UN Climate Change Conference in Lima, five countries have submitted forest data that will be the basis for establishing reference levels. Brazil submitted its reference levels in the summer, and received approval last week. 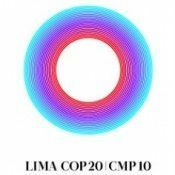 8 December 2014 | LIMA | Peru | Colombia, Guyana, Indonesia, Malaysia and Mexico today formally submitted information and data on the status of their greenhouse gas emission reductions in the forest sector to the secretariat of the UN Framework Convention on Climate Change (UNFCCC). Such data is required for establishing a forest reference emission level for these countries. Reference levels in turn constitute benchmarks to assess the performance of developing countries in the implementation of REDD+ (Reducing Emissions from Deforestation and Forest Degradation, plus conservation and enhancement of forest carbon stocks and sustainable management of forests). Actions on REDD+ establish a financial value for maintaining carbon stored in forests and reducing emissions from land-use changes by using a performance-based approach. “The knowledge of forest inventories and their carbon stocks is essential to be able to take action on forests,” said Manuel Pulgar-Vidal, President of the UN Climate Change Conference and Environment Minister of Peru. “Countries are not only recognizing the economic value of forests, but also their value for biodiversity, their cultural value and their ability to provide people with a better quality of life. The data will now be assessed by forestry experts coordinated by the UNFCCC secretariat under rules agreed on last year in Warsaw. In June, Brazil was the first country to submit information and data on the status of its greenhouse gas emission reductions in the forest sector. The technical assessment of Brazil’s submitted forest reference emission level was finalized last week.